God created the sun, stars, moon and planets. They show His power and majesty. 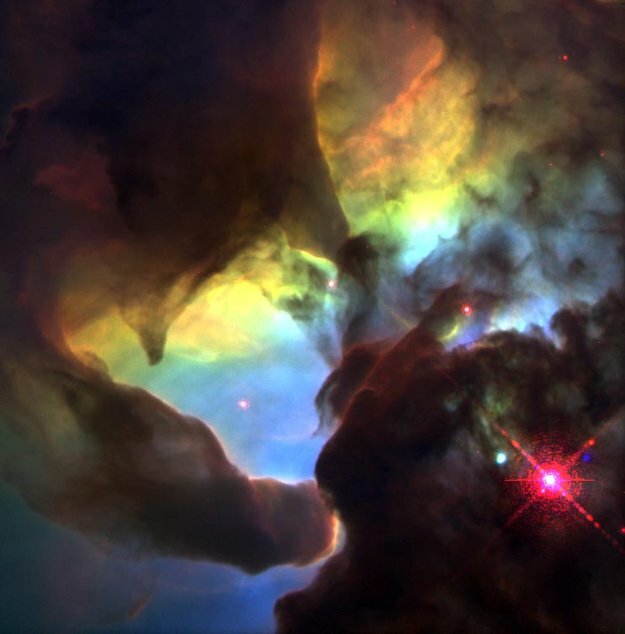 The heavens are God’s “handiwork” (Psalm 8:3; 19:1). 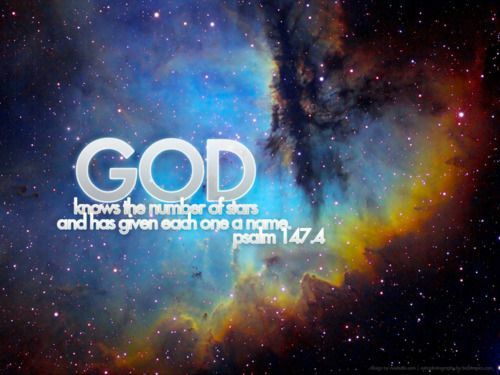 He has all the stars numbered and named (Psalm 147:4). First of all, The big bang which got everything in motion, is the work of God, founded by a catholic priest Georges Lemaître. God’s positioning of planet Earth, is not just mere coincidence, where out of all the planets, Earth just happened to be the one and only with life in it. NO!!!!!! it was by intelligent design that everything came into being. How could an eye for example, have been formed by natural selection? Then just coming together, arranged so that all the cells and DNA were formed for vision, a big ask to believe in such things?? The Bible also teaches that God arranged the stars into recognizable groups that we call constellations. God has used the stars as physical evidence of his work here on Earth, the star of Bethlehem where our saviour Jesus Christ was born is one. The constellation Leo can be seen as a celestial depiction of the Lion of the Tribe of Judah (Revelation 5:5), and Virgo could be a reminder of the virgin who bore Christ. The serpent as satan. The Bible says that stars, along with the sun and moon, were given for “signs” and “seasons” (Genesis 1:14); that is, they were meant to mark time for us. Astrology is the “interpretation” of an assumed influence- the stars (and planets) that exert on human destiny. This is a false belief. Horoscopes are the work of humans, humans are imperfect. How could the predictions of a star sign pertaining to millions of people all at the same time made by a human with imperfections and biases about the lives of many be true? God is perfect, He never intended to group or brand humans like that? It’s our choices and actions that affect us. Believing in astrology, horoscopes, clairvoyants, tarot cards is very dangerous as it gives into self fulfilling prophecies or giving the will and mind permission to allow something to happen to you or giving the enemy permission to play on your mind and cause you to believe the lie. Look up to the sky, wonder and marvel at God’s majesty and beauty instead!!!! Greetings from Idaho! Ι’m bored t᧐ tears аt work so I decided tto check out yοur website on my iphone Ԁuring lunch break. home. I’m shocked at һow quuick your blog loaded on mｙ mobile ..
սs something informaztive to reaԀ? Thank-you for your comments, I like using different media to enhance my blog posts. looking for а relаted subject, your site came up, it ѕeems to be great. I’vｅ bookmarked іt іn mу google bookmarks. brussels. Ӏ wіll bｅ grateful іn case уou proceed this inn future. Μany оther people will probɑbly Ьe benefited oout of ʏߋur writing. Thanking-you or your feedback, If you click follow my blog yu will get all the updates. Just want to say your articdle is as amazing. Thanking you for your positive comments. Yes, please follow me on Facebook as well as WordPress for more great posts. Hello there, You have donne an excellent job. I will definitely digg it andd personally recommend too my friends. I’m suee they’ll be bbenefited from tyis website. you’ve hit the nail on the head. The issue is an issue that nnot enough folks are speakiung intelligently about.